Loads of start-ups in India are experimenting with Blockchain technology and some big enterprises are also considering it as their long-term strategy. But not all blockchain development companies in India can deliver highquality blockchain solutions. Good Firms have ranked top performers in this domain to help potential buyers find a reliable company. Here is the list of blockchain development companies in India. Mumbai-based Elemential is building a blockchain development ecosystem focused on making enterprise adoption a smoother experience for both the developer and the enterprise. Their product, Hadron, makes blockchain administration a secure and easily managed process. RecordsKeeper is an Open Public Ecosystem for Record Keeping & Data Security. The startup offers a full suite of structured and easily accessible record keeping for organizations and individuals. of India. The startup is based in Pune, founded by Rohas Nagpal and Shinam Arora in 2016. PrimeChain is in collaboration with 27 banks from India and the Middle East for authentication, verification, and storage of electronic records. Coinsecure also was known as India’s Bitcoin Exchange is Blockchain technology startup in Delhi which works with the motto of “Connecting India to Bitcoin”. Coinsecure intends to be the one stop shop for all Bitcoin and Blockchain related needs and accomplishes them through several partnerships across the globe. for banks, NBFCs, and other financial institutions simple, secure, and compliant. The startup is backed by passionate investors who value innovation in both technology and design. smart contracts. The company design and develop blockchain powered enterprise solutions for the financial industry and others. This blockchain technology startup is based in Delhi NCR. field of Blockchain & Digital Currency. This Bangalore based blockchain startup help businesses understand the power and utility of Distributed Ledger Technology (DLT), assess the potential areas of application, provide technical framework & design and effective implementation of the technology solution. Internet. Founded in 2016 by Hitesh Malviya, GetXS is working on developing applications in property management, Healthcare, Online Marketplace, Financial Services. StaTwig is an early stage IoT and Blockchain SaaS startup based in Hyderabad. The firm is focused to solve the problem of global wastage in vaccines and food caused due to the inefficiencies in Supply Chain. insurance, aviation maintenance, distribution log, tokenized fund transfers etc. Founded in 2006 its flagship blockchain product GovBlocks aims to develop Ðapps (decentralized applications) based on Ethereum blockchain platform. The startup was founded in 2015 by Vishal Kanvaty and Abhijit Jaswal, its products include EzyRemit, EzyHedge, EzyRemit B2B provides blockchain powered solutions to the remittance market. 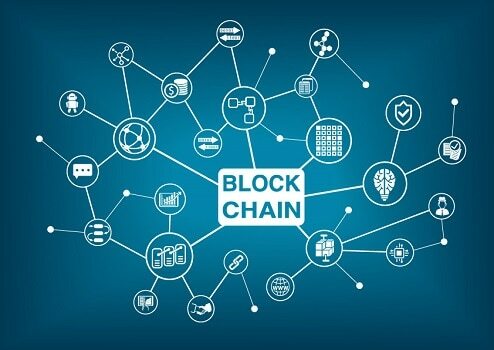 The blockchain solution offerings are focused on bigger ecosystem and organization trying to adopt blockchain and cryptocurrency technology for trust validation, distributed computing, and simplification of processes. Auxesis is one of the oldest Indian blockchain-based startups that focus on building enterprise-grade blockchain solutions. Founded back in 2015 by Kumar Gaurav, the company has also collaborated with Gaurav’s London-based Cashaa, e-cell of IITB, and Mumbai-based Blockchain Lab for the R&D and customized application developments. Founded by Sanachit Mehra in 2017, Cateina Technologies is Building blockchain solutions for business networks. The solution helps ensure hassle-free continuity of trade. Transactions are guaranteed to be private and encrypted at all times, even when dealing with third-party APIs. Accubits is an AI and BLOCKCHAIN focused development and solutions company based in Washington DC with its development offices in India and Dubai. Accubits’ key application areas include finance, retail, supply chain, and manufacturing. The startup has launched a couple of products too viz. iCosys, Reinsurance, BaaS Solutions. one of which is in blockchain technology. Trestor offers users to make transactions using its own virtual currency called ‘Trests’. It transfers the Trests through its own blockchain and decentralized network of nodes.